Sonya was first introduced to Sabre Education’s work when she attended the opening of one of the kindergarten schools built by us in Ghana. 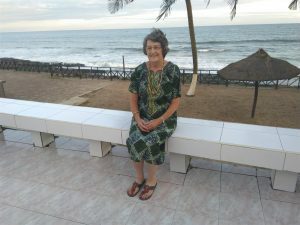 Sonya’s passion for early childhood education and desire to help improve the educational experiences of children in Ghana was immediately apparent. Over the past 7 years, Sonya has been volunteering her time and valuable skill set as an Education Advisor to Sabre Education, and has been integral to the development of the innovative approach to training kindergarten teachers, the award winning Fast-track Transformational Teacher Training project. 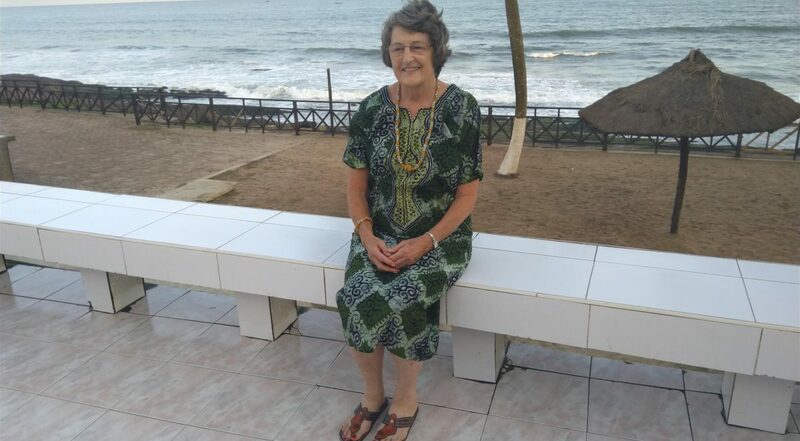 Sonya regularly travels to Ghana and has played a pivotal role in the training of local trainers from two Colleges of Education and Sabre’s own training team, for them in turn to deliver this highly practical and evidence-based teacher training course. The combination of early childhood experience and cultural sensitivity needed to impart this knowledge and coach this team is very rare indeed, and Sonya is highly respected by the team in Ghana, and senior management of our implementing partners at the Colleges of Education and Ghana Education Service. Sonya’s volunteering doesn’t stop when she returns from Ghana. Sonya spends, on average, 3 days a week working at home, helping Sabre’s project management team to write the training course content, trainer scripts, and creating a complete scheme of work. Sonya has also helped to develop two cutting-edge performance management tools, to measure child development and to monitor teacher performance. 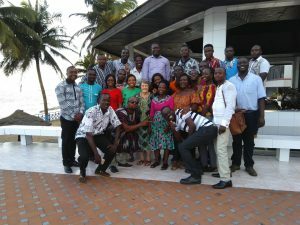 This month saw Sonya’s final visit to Ghana to work with our team and implementing partners as we prepared to expand the teacher training through a new In-Service Teacher Training project which will reach every government kindergarten teacher in the Abura-Asebu-Kwamankese District in the Central Region. This condensed training draws on elements of the successful Fast-track Transformational Teacher Training project. It has been a privilege and pleasure to work for Sabre in Ghana. The team has been one of the most collaborative friendly teams I have ever worked with. It’s hard to extract one thing from all the meetings in Accra, the team meetings I have shared, school visits and coaching and training I have taken part in as the one thing that I have found most rewarding, but I think the very first Fast-track Transformational Teacher Training – Training of Trainers workshop in OLA College of Education has to top my list. We were a small training team, untested and untried, offering a totally new approach to experienced lecturers and yet they welcomed us and trusted us to help them deliver the training to teachers in a novel way, adopting and demonstrating our Sabre training mantra ‘I am a learner, you are a learner, we are all learners’. And what a lot I learnt on the way. Each new training brings with it the same sense of achievement, each visit to a school, amazement and respect for the teachers who, sometimes against great odds, are able to create child-centred activity based classrooms full of happy children who are already becoming active learners and, of course, a recognition that there is still much more work to be done. 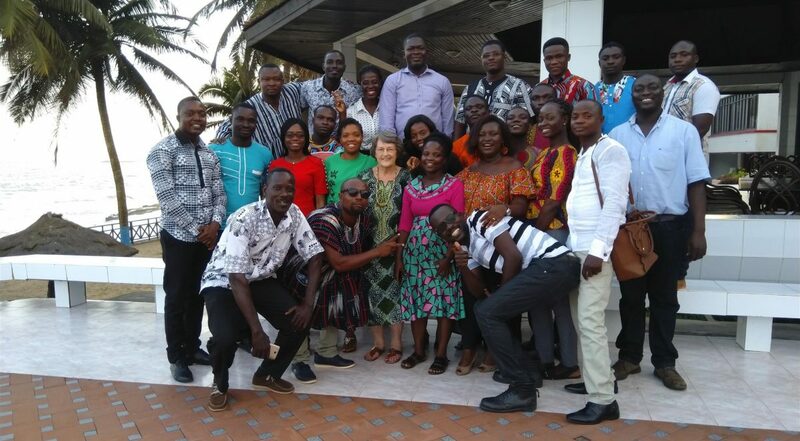 Sadly I shall no longer be making my regular termly visits to Ghana and the teams in Western and Central Regions gave me a wonderful send off, with music and dancing and traditional Ghanaian food, gifts and speeches (I had had to promise not to cry!) I have never had such a phalanx of young men queueing to dance with me, nor of photographers at the ready! And to round off we all sang an enthusiastic, if not entirely tuneful, rendition of our own Sabre version of ‘We Shall Overcome’ although perhaps it should have been ‘Onward Christian soldiers’ for I am not deserting ship. I shall continue to support Sabre by editing and modifying scripts, in collaboration with the training team in Ghana, liaising with the Institute of Education in London, arranging and hosting the coming study visit to the UK and will be keeping in touch by e-mail, Skype and Whatsapp, so watch out team I shall still be on your backs for a while yet.